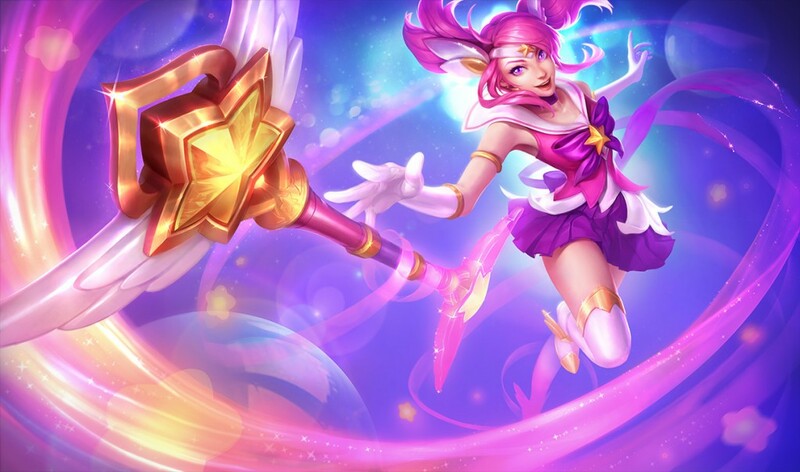 I don’t usually do things like this(although I did do it once for American football), but I’ve been playing League of Legends for a couple of years now and I have a bunch of thoughts on the game. I myself am far from a good player, but I have watched a decent amount of pro games and commentary and I have friends who are much more serious than myself will will review these suggestions to make sure they aren’t just just silly “noob” ideas before I post! Here are my “changes that they should make right now”. These are changes which I have a high level of certainty in and which Riot should do immediately. Stop adding new characters. There are already, as of this post, 127 characters available to play. In my view, this is probably 100 too many, but I could (I guess) live with the current number if that’s all there was ever going to be. The game is incredibly hard to learn right now and it gets harder every time you add a new character. Instead, please focus entirely on champion updates – re-vamping existing characters to make them better. Some of the old characters like Poppy or Warwick are in need of a complete overhaul anyway, so if you have a thirst for making new characters, delete the current “Warwick” character, and then design a new, far better one and name him “Warwick”. And it’s not just Poppy and Warwick – there’s at least a couple dozen other champions who could really use a rework. Characters that are either dysfunctional in some way, or just “far more boring than other similar alternatives” should be fixed up before adding any new characters, at the very least. Remove the ability to “steal” Jungle creeps/objectives. Blizzard already solved this problem for you with the way it’s done in Heroes of the Storm. In case it’s not obvious why you should remove this “stealing” concept from the game, the answer is that it’s random and it could be pretty game changing. If my team is getting Baron at a key moment, and whether or not we get it comes down to whether my Smite or the opposing jungler’s Smite goes off first, that’s leaving a huge, potentially game-changing event up to chance. The “smite battle” is roughly equivalent to one of those dexterity card games where players have to slam their hand down on a card first; fine for a children’s party game, but not fine for a competitive strategy game. Just copy what HotS did, where players have to kill the monster and then “capture a point”. Another note: players will sometimes waste their global Ultimate spells (Jinx, Ezreal) – even in pro games – to try and steal Dragon or Baron. So about 1% of the time, one team randomly hits the jackpot and now deforms the state of the game for reasons other than strategy. Remove random critical hits. I generally like how the abilities in this game are not-random; you don’t have a single ability in the game that’s like “10% chance to stun” or something like that. Things do what they do, so I feel like people at Riot get it that these things shouldn’t be random. Somehow, though, random criticals on auto-attacks have survived. If you want to keep criticals in the game for some reason, find a way to make them entirely non-random, or remove them. Personally, I don’t think the game needs critical hits at all, and as a bonus, for removing this, you’ll also get to remove a few items. Get rid of runes and masteries completely. This has been written about elsewhere, I’m sure, but the game does not need all this chaff. It adds nothing; it’s really just a bunch of noise and I am surprised that it hasn’t been removed already. The worst part is, players have to deal with it if they want to be on an even playing field. It makes the game more loosey-goosey and random (since you don’t really know what runes opponents have), way more complicated, and unfair. Imagine teaching your friend to play League, and then you have to tell him about this God-awful system? It’s embarrassing and needs to be removed immediately. You don’t need to replace it with anything, just delete it. Refund the IP or RP to everyone who spent money on “Rune Pages” or whatever. Ideally, I’d like both removed, but if you can only remove one of the two, at least remove runes. Masteries are more harmless; you don’t have to “buy” anything and it’s a far simpler system. Those four things, Riot should absolutely do right away. #3 is the only one that’s likely to have some significant balance ramifications, but it’s worth making whatever other changes you need to make to support that change. The next few things are things I recommend, but which I am slightly less certain of. I’m still highly certain of them, mind you – I think they’re great ideas. They are, however, more complex and may have other ramifications that I will admit I could be unaware of. Still, though, I hope that people will consider these! Get rid of the concept of selectable “summoner spells”. The issue of summoner spells is basically solved. With very few exceptions, top players get teleport, ADCs get heal, supports get exhaust and everyone gets Flash. It’s just something you “have to do”, not a choice at all really. If you think the game needs these summoner spells, have players select their “role” (as they do in Team Builder) and that gives them a summoner spell. Frankly, though, I think the game can do without summoner spells, maybe most of all, Flash. All Flash does is draw out the game, giving all players a “Do Over” move, as well as make the game much more about execution and prediction (stuff like flashing right before doing a big ability makes it basically random for other players). Ward Slots! If you were to make a “heat map” of the places people put wards, you’d notice that they basically go in the same 10-20 places on the map, every single game. Good ward placement is also basically solved. 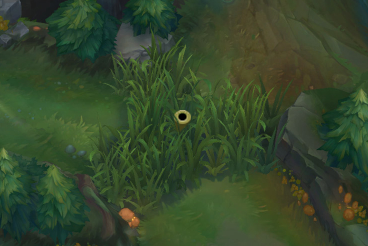 So, let’s do this: we’ll create “ward slots”, these little structures with a hole in them, in all of the places that people usually put wards. One in the tri-bush, one in the lane pushes, one near red, one near blue, etc. Players can only place a ward in a ward-slot, and there can only be one ward in the slot. Placing a ward anywhere in the ward-slot’s range places it into the ward slot. Here’s the advantages: one, you don’t have new players putting wards in total nonsense spots. Two, you don’t have the situation where you and your team mate both place a ward in the same bush at the same moment (once a ward slot is occupied, no one else can place a ward there). You also won’t have the “one pixel off problem”, of mistakenly placing a ward just OUTSIDE a bush, or scanning one pixel off from an existing ward. I need to add one more rule to the ward slots to make them work: they have a cooldown. Once you place a ward in there, you have to wait maybe five seconds or so before anyone can “replace” the ward in there (to refresh the timer). I’m aware that players will use wards in other, more spontaneous ways – warding over a wall or into a bush during a fight, not to mention for a player to teleport to or for Lee Sin to jump to. But I think probably the game would be better off without the player ability to arbitrarily change his pattern of vision via items. If you wanna see over that wall, go walk over there – that’s better for the game. And as to the weird little things like teleport and Lee Sin, I don’t think it’s a big loss; certainly worth what we’re getting in exchange. New win condition: destroy 2 inhibitors. I’ve been looking up some stats on this. The win rate in the LCS after getting first inhibitor is ~92%. I’ve also read elsewhere that it has been 100% at times (a bit old, but still probably somewhat relevant). I haven’t been able to find stats on win percentage after getting the second inhibitor, but I feel pretty confident it’s well north of 95%. With that said, I would rather lose out on those 5% (or fewer) remaining upsets than waste that last 5 minutes (which can extend to 10 or even 15 more minutes in low ELO solo queue). So now you can win by *either* destroying two inhibitors or destroying the nexus. Get rid of “last hitting”. I put this one last because I feel there is the least chance of this idea ever getting used, but it’s stupid that a player is getting more gold because he sat in a custom game for 5 hours drilling away at practicing last-hitting minions. It has nothing to do with the larger game; it’s as if there was some little Wario Ware game that you had to play to decide how much gold you’d get in lane. Instead, make it that minions drop gold where they are and you have to walk over to pick it up. Then you still have the “area control” aspect in tact, but you no longer have the strange busy-work mini-game that arbitrarily deforms player advantage. In a way, this one is kind of related to the “stealing buffs” one. It seems like maybe Riot thinks “the important thing” is getting the last hit, when actually the important thing was being in that space choosing to do that thing and controlling the space long enough to get it done. Same with getting kills, frankly – it shouldn’t matter that you got the “last hit” on the kill. This is not a complete list of the changes that I would recommend for the game. There are also these suggestions that I made awhile back regarding presentation. Overall, I do think League is one of – if not the overall-current-strongest-strategy-game we have, so I’m excited to see what changes Riot makes to the game in the future. Let me know what you think! Enjoyed this article? Consider supporting my work at Patreon.com!